Payne, Michael. "Irene Parlby and the United Farmers of Alberta". The Canadian Encyclopedia, 25 January 2019, Historica Canada. 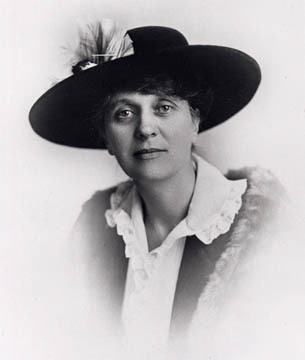 https://www.thecanadianencyclopedia.ca/en/article/irene-parlby-and-the-united-farmers-of-alberta-feature. Accessed 24 April 2019. Most Canadians, if they have heard of Irene Parlby, know her as one of the "Famous Five." This group of five Alberta women were plaintiffs in a court case that argued women were indeed "persons" under the British North America Act and thus entitled to be named to the Canadian Senate. Most Canadians, if they have heard of Irene Parlby, know her as one of the "Famous Five." 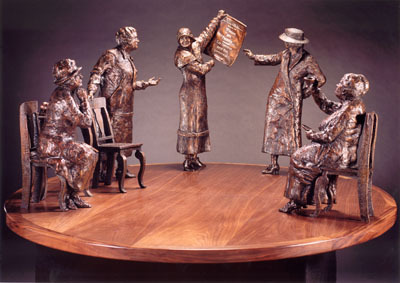 This group of five Alberta women were plaintiffs in a court case that argued women were indeed "persons" under the British North America Act and thus entitled to be named to the Canadian Senate. It was a landmark case in the long struggle by women to achieve political and legal equality in Canada, but Parlby's historical significance rests on much more than just the Persons Case. Born in England in 1868, Irene Marryat came to Canada in 1896. An old family friend, who had emigrated to Canada, invited Irene to visit her on a farm near what would become Alix, Alberta. Irene accepted and soon after met and married Walter Parlby. Both Irene and Walter took a strong interest in politics. In 1909, when the United Farmers of Alberta was founded, Walter Parlby became the first President of the Alix branch of the movement. Initially the UFA was not so much a political party as an economic and social movement. It emphasized "equity" and promoted the economic principle of cooperation and the creation of cooperative societies. Overall, it hoped "to further the interests of farmers and ranchers in all branches of agriculture." Irene Parlby was the first woman to become a Cabinet minister in Alberta. She supported Acts concerning women's rights (courtesy Glenbow Archives). Irene also became involved in the movement, and she helped organize a local women's group, the Alix Country Women's Club, in 1913. The club initially busied itself with local concerns such as establishing a library, but it had larger objectives as well. Representatives from the club played a major role in establishing the United Farm Women of Alberta, and in 1916, Irene Parlby became president of this province-wide association. The war and post-war readjustment strained traditional political parties and values. The UFA and UFWA, along with labour and other groups, were strongly influenced by the ideas of Henry Wise Wood, a political theorist who proposed a radical new way of looking at representation in legislatures. Wood suggested government should be organized on the basis of economic groups, and that people be elected to represent such groups rather than old-fashioned political parties. According to this view, farmers needed farm representatives, and after 1919, the UFA began to build a political organization to fight the next provincial election. Irene Parlby was chosen to campaign as the UFA candidate in the constituency of Lacombe. Her opponents made much of her gender and she never professed much liking for the business of seeking votes and support, but she was elected easily on July 18, 1921. As a leading spokesperson for the UFA and UWFA, there was considerable speculation about which cabinet post she would be offered when the UFA gained the majority in the legislature. Revealingly, she was not given a department to manage - the idea of female equality had significant limits in 1921 - but she was appointed as a Minister without Portfolio. 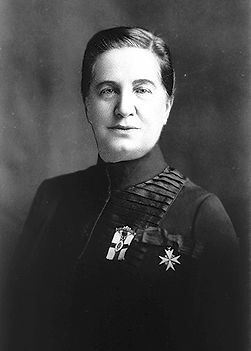 This also made her only the second woman to be named a cabinet minister in Canada, after Mary Ellen Smith in British Columbia. The UFA government struggled in its early years. Henry Wise Wood chose not to run for election at all, and many UFA members felt that they could and should oppose the government if proposed legislation did not suit their constituents. Eventually, Premier Herbert Greenfield had to tell UFA members that they must support the government or the government could fall. A financial crisis in 1923 forced Greenfield to cut expenditures and raise taxes to balance the government's books. Many historians suggest that this decision marks the transition of the UFA from political movement to political party. By 1923, most of Henry Wise Wood's ideas about group government had had to be abandoned, and the UFA ran Alberta for the next 12 years as a populist, but fiscally conservative, government. Irene Parlby's role in the UFA government was significant, despite having no department to run. She often acted as a spokesperson for the government on matters related to health and education, and she took a particular interest in issues relating to women and families. Much of her work, however, was focused on national and international issues such as the Persons Case and her work as a delegate to the League of Nations. By the early 1930s, she was clearly less and less interested in the partisan political manoeuvrings of the Alberta legislature, and although she successfully ran in the 1931 general election, the UFA government was running out of steam. In 1935, Parlby chose not to run - probably wisely - and the UFA government was swept aside by a new political movement, Social Credit. After 1935, Parlby continued to speak out on a range of issues, but she had little direct political influence in a Social Credit dominated Alberta. However, when she died in 1965 at the age of 97, the Historic Sites and Monuments Board of Canada moved quickly to recognize her as a person of national historic significance. This was based on her role in the Persons Case, but also for her work as a legislator and her distinguished service in the fields of "education, social welfare, and legislative reform."